The first 15 of 45 women-only professorships to be created in Irish higher education are expected to be in place by September, as part of the radical initiative to tackle gender discrimination in academia. The Government has set aside €800,000 in funding for 2019 to support the appointments, detailed arrangements for which are now being finalised between the Department of Education and the higher education sector. There are also ongoing consultations with the Office of the Attorney General to ensure that the appointments are legally robust and immune to a successful challenge from a disgruntled male. By 2021, it is intended that all 45 posts will have been created, at an annual cost of €4.7m. Starting salaries for professors range from about €80,000 to €115,000. Under new performance compacts, higher education institutions face the risk of a cut of up to 10pc of annual State funding if they do not meet certain performance objectives, and gender equality has been included as one of those. Higher Education Minister Mary Mitchell O'Connor insisted she was not concerned at potential legal challenges and said there had been "rigorous assessment" of the Gender Action Plan 2018-2020 to ensure it complies with national and European Union laws. Ms Mitchell O'Connor said that "excellent women in our higher education sector are not filling sufficient senior academic roles, not because they are not talented, able and expert or committed enough". The foundations for the action plan were laid in a report from a gender equality taskforce set up last year to make recommendations after an expert group, under former EU Commissioner Máire Geoghegan-Quinn, exposed the extent of gender discrimination problems in higher education. The taskforce found that women faced a number of serious barriers to progression that were not experienced to the same degree by their male colleagues. 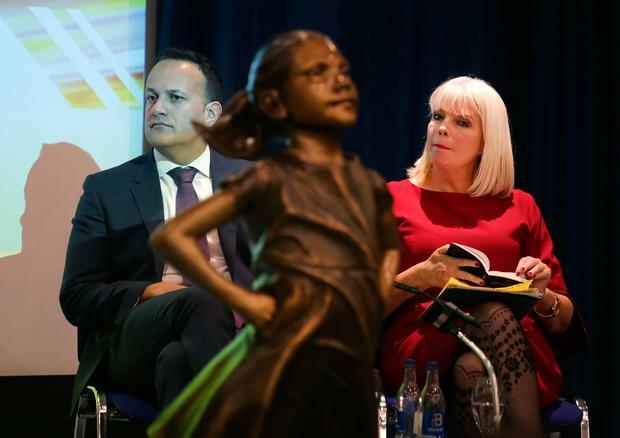 Speaking at the plan's launch yesterday, Taoiseach Leo Varadkar said that women had historically been "Ireland's greatest untapped resources" and the Government wanted "girls to aim high" in politics, academia and other sectors. The female-only professorships will apply to a limited number of new and additional posts in disciplines where there is clear evidence of significant gender under-representation. It will be restricted to situations where other initiatives failed to make progress and where it would be seen as an appropriate and effective means to achieve accelerated change. The number of female professors in a third-level college is regarded as a key measure of equality and the target is for 40pc of professors in Ireland to be female by 2024. That is up from 23pc in 2017, while at the more junior level, 51pc of lecturers were female. The suite of professorships, labelled the Government of Ireland Senior Academic Talent Initiative, is one of a number of measures in the action plan, which has been welcomed across the sector. Irish Federation of University Teachers (IFUT) general secretary Joan Donegan said the announcement was a "pioneering and brave move" and "a necessary step to address the persistent lack of promotion of women to senior posts in our universities". She said there was increasing evidence, internationally, that measures such as this were required to break the logjam of discrimination against women. Another key measure in the plan requires colleges to set targets for the recruitment and promotion of women to senior positions and failure to meet such targets would be a factor in the level of State funding they receive.